In 1939, the POW camp Stalag VII A was established north of Moosburg - with up to 80,000 Allied soldiers at the end of World War II. From 1945 to 1948 it served as an internment camp. 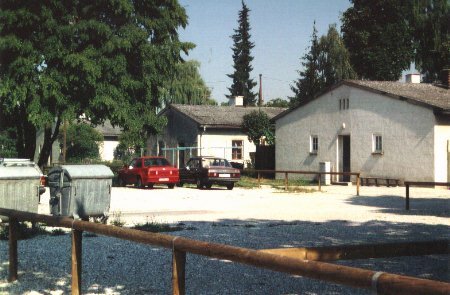 The old photograph shows the prisoners' barracks along the camp street, now called Sudetenlandstraße. Each of the large barracks could house 400 POWs. 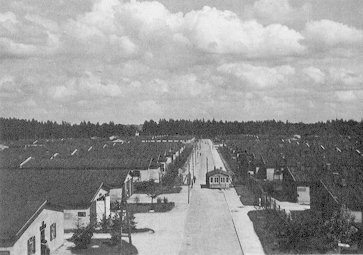 As numerous German refugees settled in the former Stalag area since 1948, most barracks were rebuilt as private houses or workshops (barrack no. 3 in Sudetenlandstraße at Erzgebirgstraße). The few original but empty buildings are in a state of dilapidation - like barrack no. 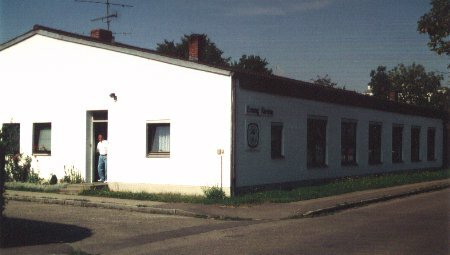 6 in Sudetenlandstraße. The big sign in front of barrack no. 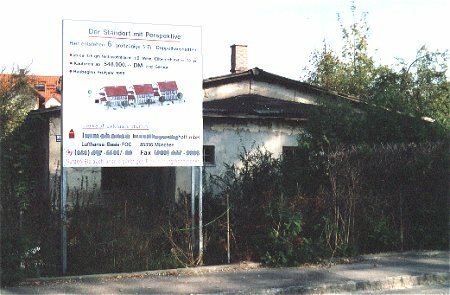 13 says that the old building will be replaced by six semidetached houses (Sudetenlandstraße at Erzgebirgstraße). 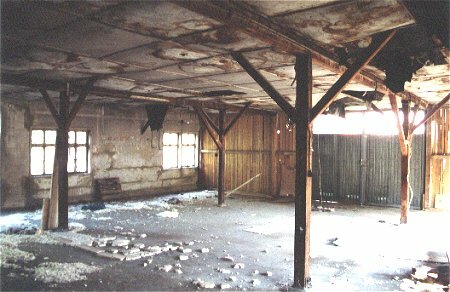 An interior view of barrack no. 13. Soon this monument of Moosburg's recent history will be lost. 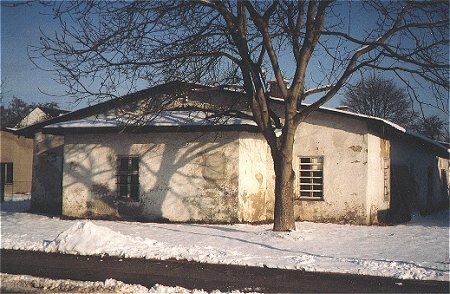 The guards of the POW camp had their own barracks along Schlesierstraße. Although they are in bad condition, some of the old houses are still occupied. 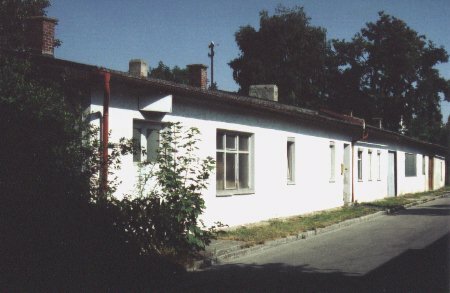 Other guards' barracks served as St Pius' kindergarten or as the Lutheran parish centre (picture). The latter was pulled down and replaced by a new church in 1999; the kindergarten was rebuilt in 2004. Last update 10-3-2009 by © Werner Schwarz (E-Mail) - All rights reserved!